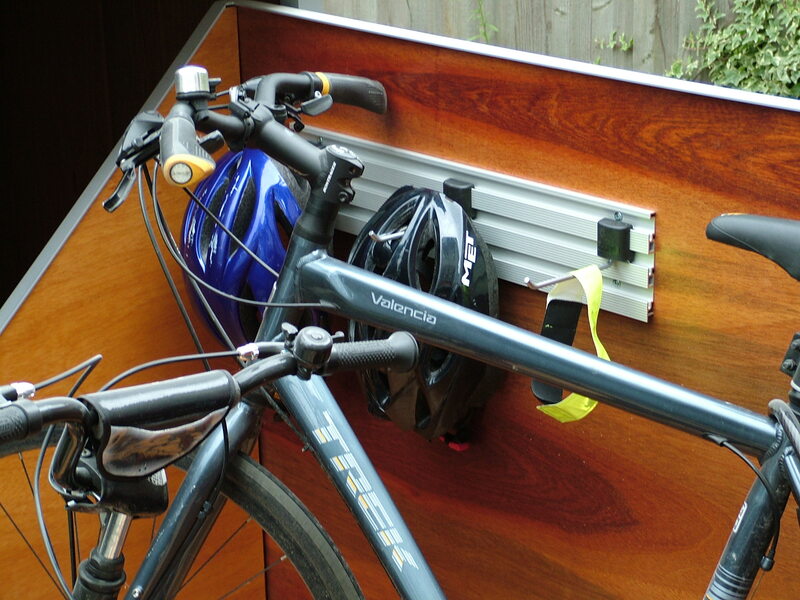 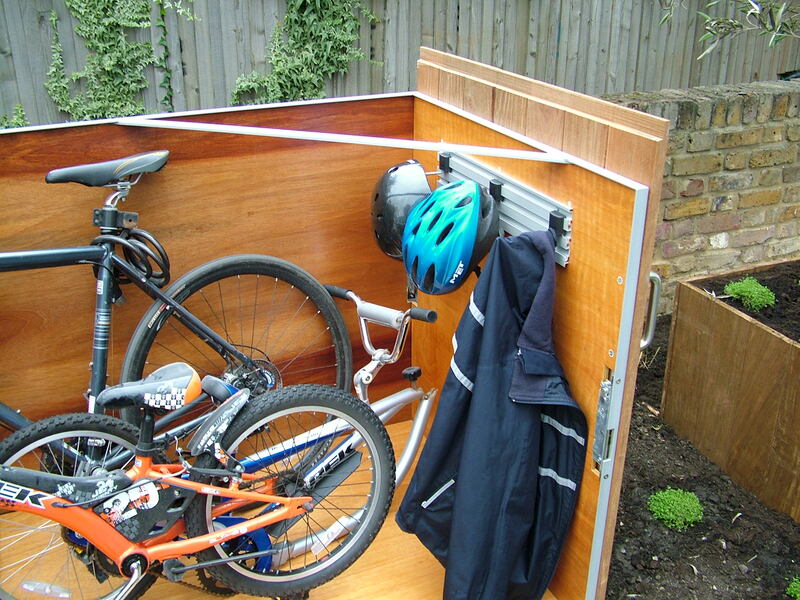 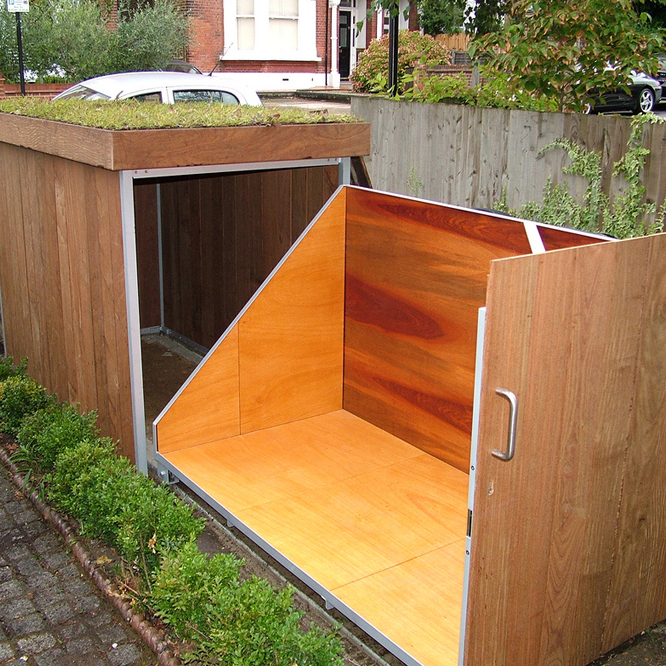 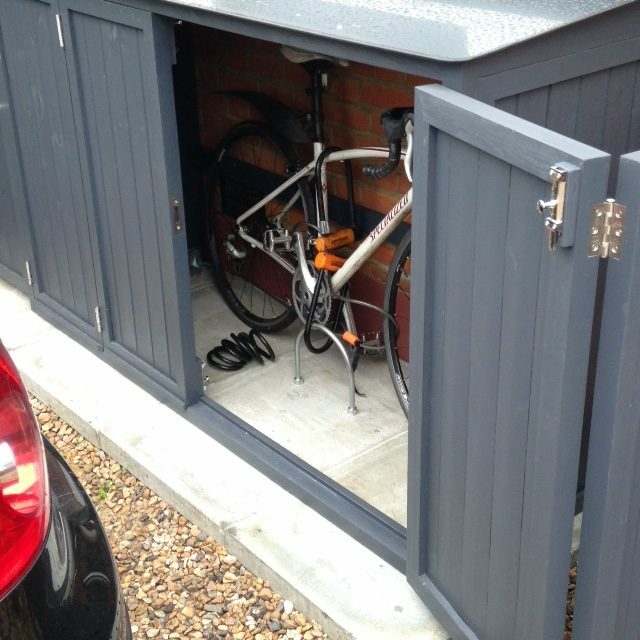 Our bike storage is beautiful, practical and secure. 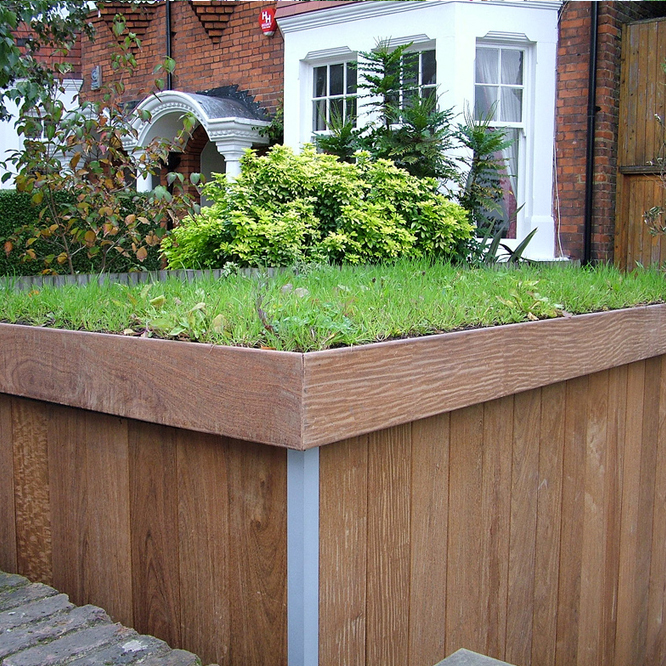 The aluminium infrastructure is clad in sustainable hardwood with a green roof. 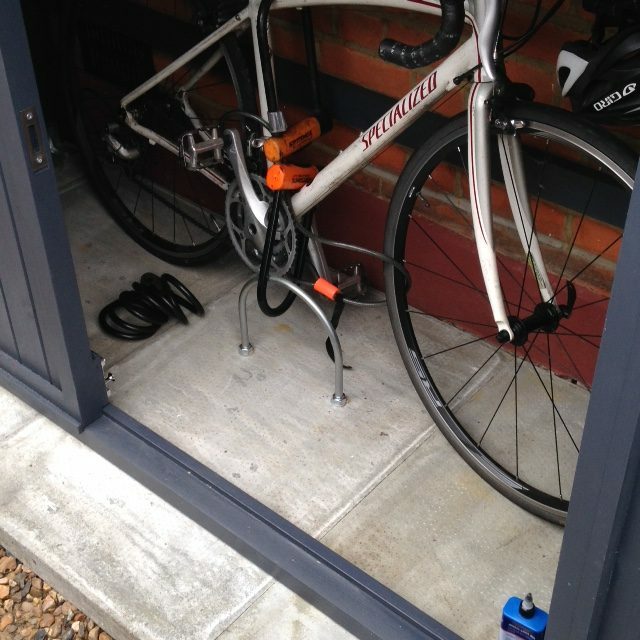 Each bike store can hold two or more adult bikes, securely lockable with five-lever locks built into the access door. 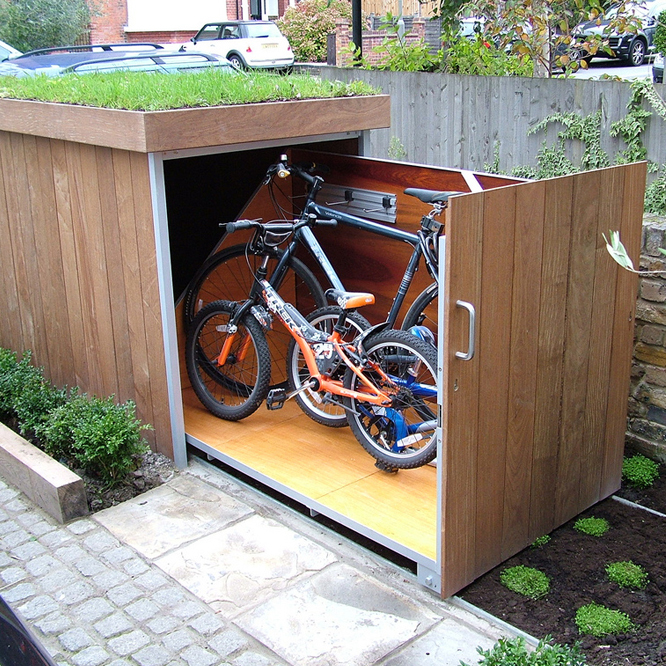 At just over a metre wide, the four-bike version will fit beside the car in most driveways, so you’ll never need to move the car to get to the bikes. 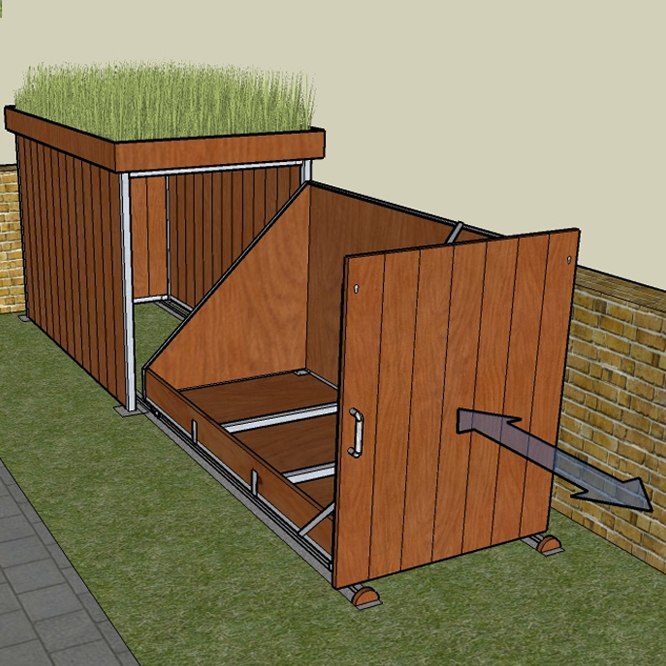 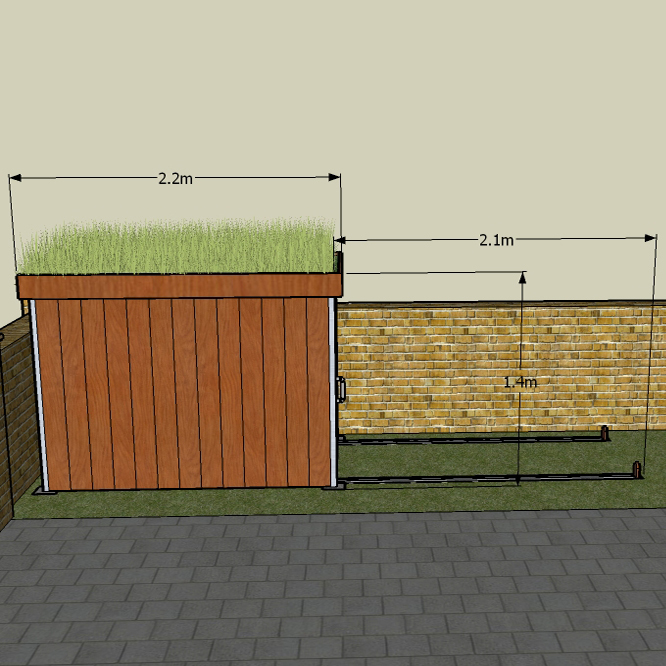 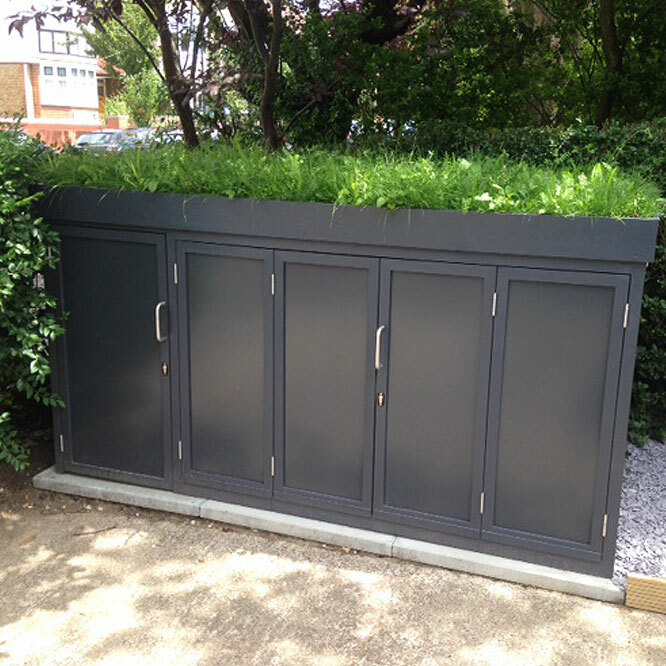 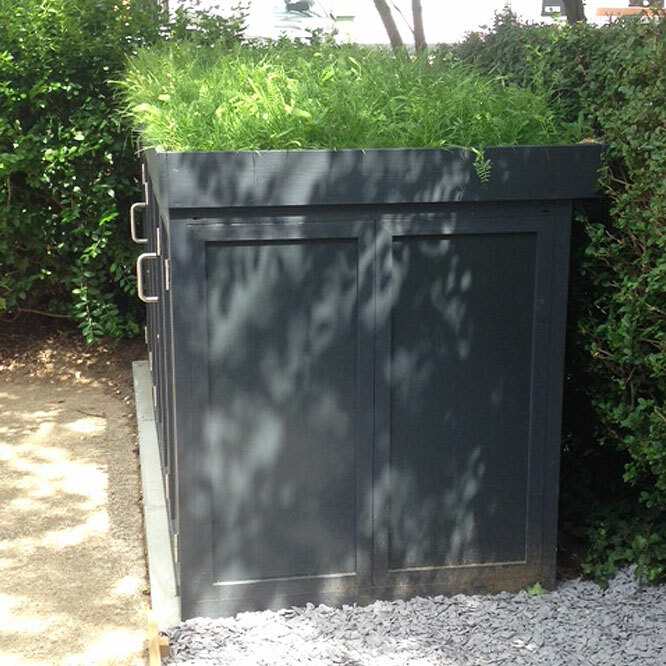 The bike store roof comes with a choice of wild grass, wild flower or a mix of wild flower and sedum planting. 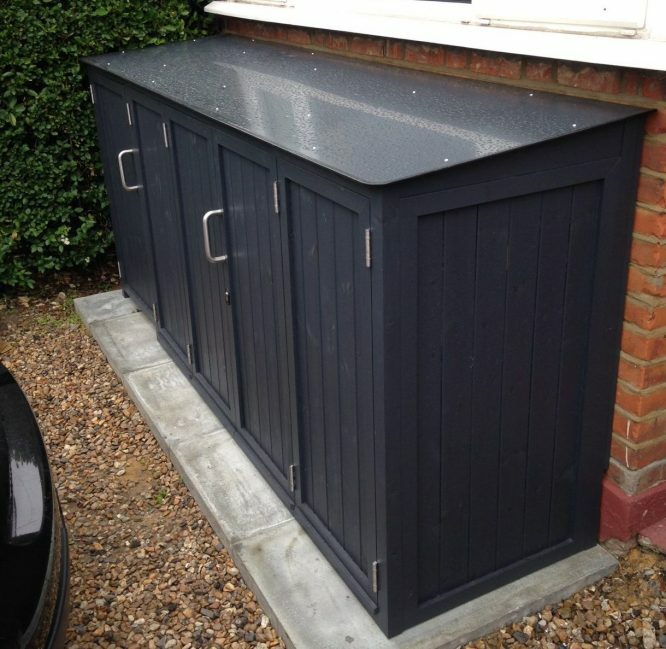 All lockers all made to your exact specifications so please contact us for a personal quotation.